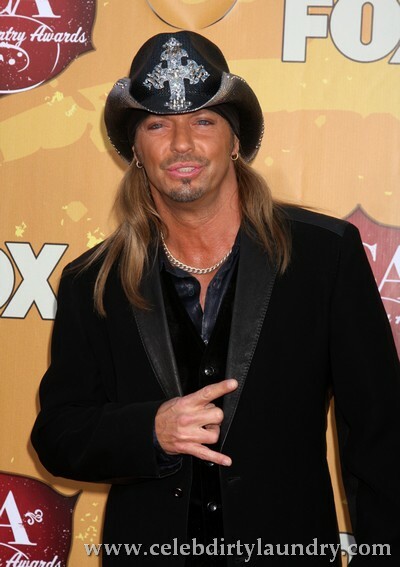 Bret Michaels who almost died from a brain hemorrhage is blaming The Tony Awards for it. Bret got hit in the head by a piece of scenery while performing on the show and he had to be hospitalized for a broken nose and a cut lip. Bret considers that the producers of the show did not provide a clear and safe exit way when his performance was finished. He filed a suit today in L.A. County Superior Court against Tony Award Productions, CBS and others. TMZ has the scoop, Six months after the awards, Bret nearly died from a subarachnoid brain hemorrhage — and the rocker insists it was NO coincidence. No confirmation yet on what Bret is suing for. I am a big fan of Bret but I am not sure he has a legitimate case here. When they perform one of the first things they show you is how to exit but on the other hand you cannot put people in dangerous situations either.